Basically, Nietzsche was very dissatisfied with the current morality and the condition of man. He dreamed of evolution of man toward Übermensch, a state that transcended the current state of man. Nietzsche was looking for coherency and consistency in nature. The word “self-mastery” is the key to understanding the above passage correctly. Übermensch was not created by adding, training or inculcating “desirable” characteristics in man. Übermensch was an evolution brought about by reducing man to his natural state. To Nietzsche, Übermensch was a state in which man was congruent with his natural self. We may understand the character of Übermensch by looking at self per A Model of Self. A self is made up of a multi-dimensional matrix of “definitions and logics.” This matrix was distorted as social, cultural, and moral contexts were forced in place. Such distortions then reduced the potential of man and made him behave irrationally. This was the current state of man. By resolving such inconsistencies man could be propelled toward the state of Übermensch. 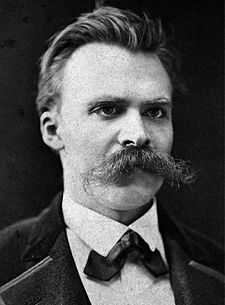 For Nietzsche, a resolution of the social, cultural, and moral contexts was necessary to evolve man toward Übermensch. (1)	A person, after resolving a situation for himself, has an inherent desire to help others who are struggling with the same or similar situation. (2)	Some may not even know the situation they are in. They are simply miserable desperately seeking happiness. (3)	Man must evolve to be true to the earth. There are no super-earthly powers. “Nietzsche speaks of the naive man animal. Powerful in his life, who lacks however, the sense of the spirit. And then there is the principle of the man of the decadence, the man who is questioning life’s problems and so forth, the intellectual, the socratic man, who … as he says … is the SICK man. “The master man, and the man of the decadence. “Once blasphemy against God was the greatest blasphemy; but God died, and therewith also those blasphemers. To blaspheme the earth is now the dreadfulest sin, and to rate the heart of the unknowable higher than the meaning of the earth! “Once the soul looked contemptuously on the body, and then that contempt was the supreme thing:— the soul wished the body meagre, ghastly, and famished. Thus it thought to escape from the body and the earth. “Oh, that soul was itself meagre, ghastly, and famished; and cruelty was the delight of that soul! For 2000 years, “spirituality” has contemptuously looked down upon the reality of this world. Religion has been mostly an idle speculation. But that “God” is now dead. Forget about those wretched self-complacent raptures, such as those of exteriorization. Get up and look at the reality out there and recognize what it actually is. The above is what, I think, Nietzsche is saying. This reminds me of Elizebeth Hamre and her spirituality. Scientologists and people with bloated egos love to look down upon others. That is the greatest thing they experience. It is greater than even the experience of happiness, reason and virtue for them. The novel opens with Zarathustra descending from his cave in the mountains after ten years of solitude. He is brimming with wisdom and love, and wants to teach humanity about the overman. He arrives in the town of the Motley Cow, and announces that the overman must be the meaning of the earth. Mankind is just a bridge between animal and overman, and as such, must be overcome. The overman is someone who is free from all the prejudices and moralities of human society, and who creates his own values and purpose. The people on the whole seem not to understand Zarathustra, and not to be interested in the overman. The only exception is a tightrope walker who has fallen and who dies shortly thereafter. At the end of his first day among people, Zarathustra is saddened by his inability to move this “herd” of people in the marketplace. He resolves not to try to convert the multitudes, but rather to speak to those individuals who are interested in separating themselves from the herd. The bulk of the first three parts is made up of individual lessons and sermons delivered by Zarathustra. They cover most of the general themes of Nietzsche’s mature philosophy, though often in highly symbolic and obscure form. He values struggle and hardship, since the road toward the overman is difficult and requires a great deal of sacrifice. The struggle toward the overman is often symbolically represented as climbing a mountain, and the light-hearted free spirit of the overman is often represented through laughter and dance. Zarathustra is harshly critical of all kinds of mass movements, and of the “rabble” in general. Christianity is based upon a hatred of the body and of this earth, and an attempt to deny them both by believing in the spirit and in an afterlife. Nationalism and mass politics are also means by which weary, weak, or sick bodies try to escape from themselves. Those who are strong enough, Zarathustra suggests, struggle. Those who are not strong give up and turn to religion, nationalism, democracy, or some other means of escape. The culmination of Zarathustra’s preaching is the doctrine of the eternal recurrence, which claims that all events will repeat themselves again and again forevermore. Only the overman can embrace this doctrine, since only the overman has the strength of will to take responsibility for every moment in his life and to wish nothing more than for each moment to be repeated. Zarathustra has trouble facing the eternal recurrence, as he cannot bear the thought that the mediocrity of the rabble will be repeated through all eternity without improvement. To Nietzsche, Übermensch was a state in which man was congruent with his natural self. A resolution of the social, cultural, and moral contexts was necessary to evolve man toward Übermensch. “Down-going” seems to be a movement down into abyss that is man. “Over-going” would be movement from animal to Übermensch, over the abyss that is man. “Earthly” would be seeing things as they are without the distortions caused by assumptions, expectations, speculations, etc. “Superearthly” would be believing in things as viewed through the filter of assumptions, expectations, speculations, etc. Man is an in-between phase. It is something to experience fully (down-going), and to be overcome (over-going). Those who are able to experience themselves fully as man (down-going) are the one who will be able to overcome the state of man (over-going) and move beyond it. I believe we find that all the world is in various phases and at anytime can correctly be said to be in between. I rather think that we represent a small slice of a great continuity of existence. Imagining states of beingness are abstractions only. The notion of a state of superman misconstrues ubermensch.